Apple to announce more DRM-free music? 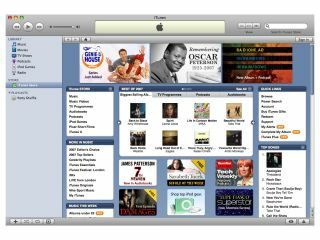 Ahead of the Macworld Expo, rumours have begun to swirl suggesting that Apple will be offering more DRM-free songs on iTunes. Greg Sandoval on CNET writes that: "Apple has cut deals that will finally enable iTunes to offer songs free of copy protection software from the three largest music labels, according to two sources close to the negotiations. In exchange, Apple has agreed to become more flexible on pricing..."
Apple already offers DRM-free tracks from EMI as part of a deal struck last year. Any new announcement of DRM-free tracks would involve the other big music labels – Sony BMG, Universal and Warner Music. Speculation is also rife that Apple will announce over-the-air music downloads for the iPhone. Mobile access to the iTunes store currently requires a Wi-Fi connection and music can't be downloaded over 2G or 3G connections. Access to the App Store lacks this restriction, while Apple recently made podcasts accessible via cellular connections in the 2.2 firmware update. We'll know more when the Macworld keynote kicks off in San Francisco later today.